In cinemas this week: The Judge, Tusk, Siddarth and Electric Boogaloo: The Wild, Untold Story of Cannon Films. 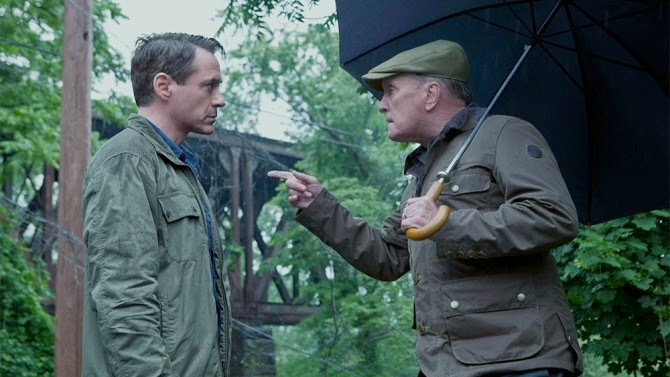 The Judge - Robert Downey Jr. stars as big city lawyer Hank Palmer, who returns to his childhood home where his estranged father, the town's judge (Robert Duvall), is suspected of murder. He sets out to discover the truth and along the way reconnects with the family he walked away from years before. Tusk - Red State director Kevin Smith takes the helm for this horror film starring Justin Long as a podcaster who is targeted by a sadistic killer while attempting to land an interview with a misanthropic adventurer (Michael Parks). Genesis Rodriguez and Haley Joel Osment co-star. Siddarth - Spellbinding and gorgeously wrought tale of one father's journey across India in search of his son. Mehendra is a chain-wallah, eking out a living fixing zippers on the bustling streets of New Delhi. To ease his financial woes, he sends twelve-year-old Siddharth to work in a distant factory. When the boy doesn't come home for the Diwali holiday, Mehendra and his wife Suman slowly begin to suspect that he was kidnapped by child traffickers. With few resources and no connections, Mehendra desperately travels to Punjab and Mumbai with the hope that whoever took Siddharth might return him unharmed. A powerful family drama both heart-rending and suspenseful, Siddharth won Best Film (and Best Director for Richie Mehta) at the South Asian International Film Festival. Electric Boogaloo: The Wild, Untold Story of Cannon Films - The story of Cannon Films, the studio that unleashed a wide range of entertaining exploitation films in the 1980s, is told in this documentary from Not Quite Hollywood's Mark Hartley. Weekly Recommendation: The Judge. It received terrible reviews at TIFF but I found it to be perfectly watchable - engaging throughout (and that's a feat, considering its length), well performed by all and far deeper and more moving than expected. And there are surprises. I am intrigued by Tusk but I have very low expectations. Siddarth sounds powerful, but out on limited release.